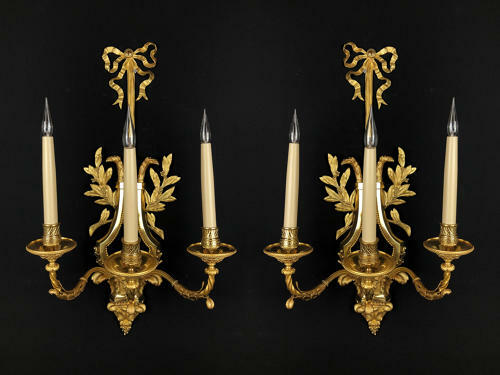 A pair of Empire style, lyer shaped, three arm, ormolu wall lights. The back plate of a ribbon bow, with griffin heads, the three scrolling arms decorated with acanthus wreaths. French, mid 19th century.